We prepare Ice creams, popsicles, juices etc., during summer to beat the heat. Milk based recipes always make us have more guilt free. 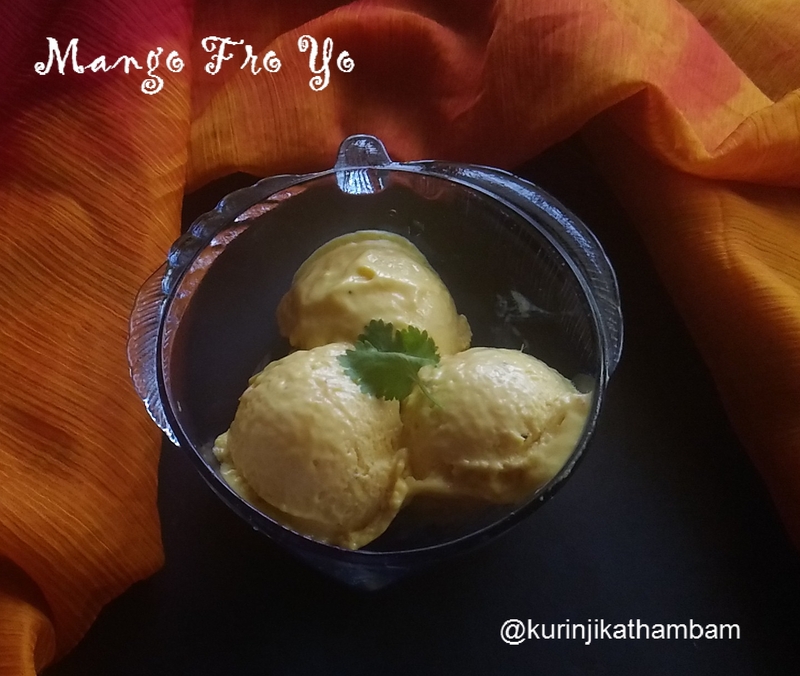 Mango Fro yo [Mango Frozen Yogurt] is a curd based recipe like ice cream but with the touch of curd. 1. In a dry mixie jar, add mango cubes, sugar and cardamom pod. 2. Grind them into a smooth paste without water. 3. Now add the hung curd and again grind them into a smooth paste without water. 4. Transfer this paste into a freezer safe box and close the lid of the box. 5. Keep the box in the freezer for 2-3 hrs. 6. Then take it out from the freezer and blend the frozen paste once again. 7. Again transfer to freezer box and close the lid of the box. Freeze it for 2-3 hours. the lid of the box. Freeze it for 2-3 hours. 9. After 3rd time freezing is the last step. Now you can get the creamy mango frozen yogurt. Scoop them carefully and serve. Enjoy this summer with healthy and yummy Mango Fry Yo. 1. 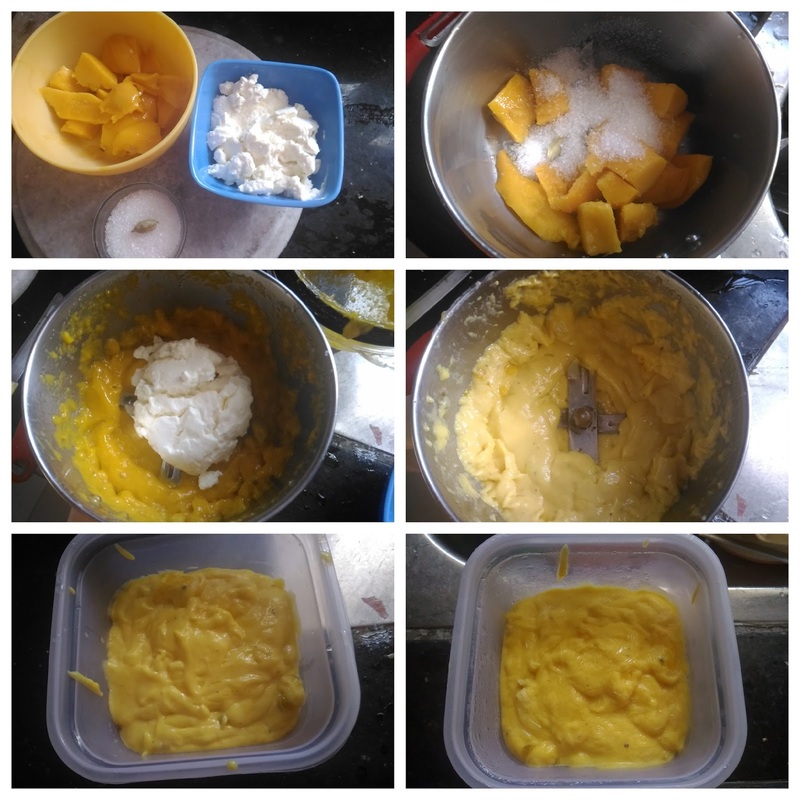 You can use ripe and sweet mango. 2. Adjust the sugar level according to your mango sweetness. @kalpana : Thanks you so much kalpana.